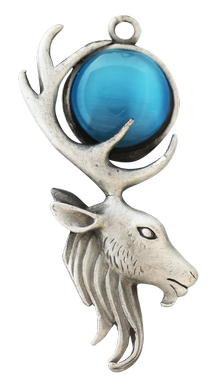 The mighty stag is crowned with the lunar orb of the Empress of Night. 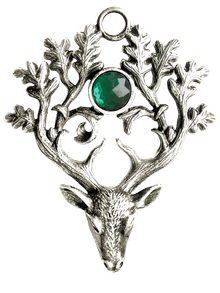 In the ancient forest, the stag’s antlers – like the spreading branches of the Greenwood - reach tall and wide with Life Force. 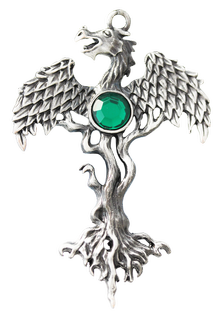 Dragons – “Watchers” from the ancient Greek “dracon” – are Otherworldly Guardians of precious metal, jewels and knowledge. 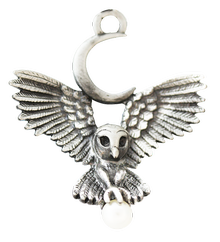 From their home at the roots of the sacred Greenwood Oak, they rise to cloak invisible all who require their Magical Protection. The Earth – Gaia – is Mother to us all, and She is Nature at her most benevolent. 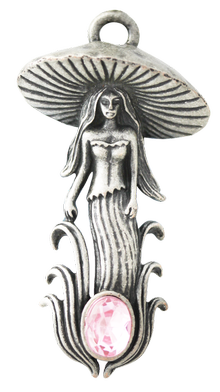 Commanding the Elements of Earth, Air, Fire and Water, She will grant Peace and Tranquility to those who respect her domain and follow her Path. 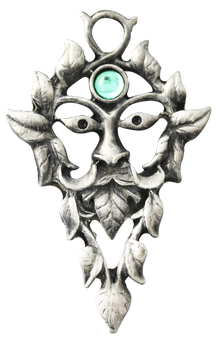 Elemental King of the Forest, The Green Man embraces Natural Magic and the cycle of Rebirth through the Seasons. 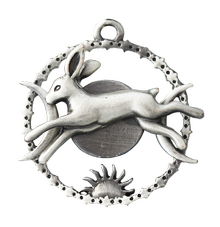 He is the Guardian of Nature and the true Spirit of the Woodland. 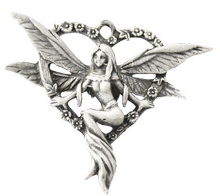 Fairies whirl about the mushroom ring to a hidden piper’s tune. Inviting all to embrace the Magic of their Secret Realm, they invoke Green Power deep in the forest. 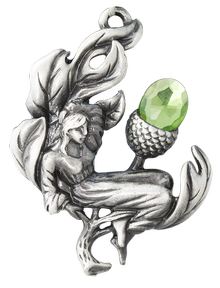 Woodland gardeners, the acorn sprites gather and plant Oak tree’s seeds where they will thrive, and so maintain the Woodland balance. As allies to humans, they will lend their green fingers. Oak, Holly, and Ivy are all magical trees in the Greenwood. 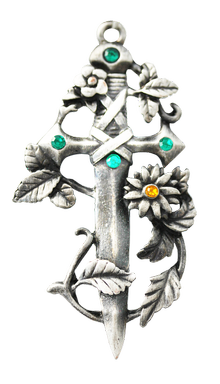 Oak is Nature’s Magician, Holly guards against Evil Spirits, and Ivy stands for Good Luck and Fidelity. 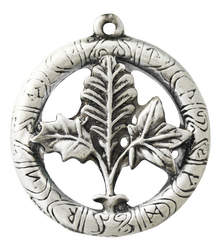 Sacred Runes ring these Sacred Trees as a double charm FOR POSITIVE ENERGY AND ACHIEVEMENT. 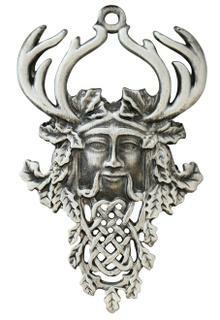 Herne, in great Greenwood Forest at Windsor, lives as Horned Hunter of Mystical Strength and Honour. 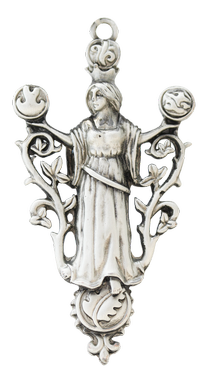 In legend, he saved the life of the English Sovereign and evermore is honoured for fair play and upholding order. His image is worn FOR JUSTICE & RESPECT. The Wood Witch of the Greenwood cloaks herself in leaf and branch and is unknown to most mortals by choice. Her Wand is a Mystery, but those worthy of Initiation will find it can be asked for Magical Knowledge.